Sharp has developed a super-thin 2.2 inch LCD display for mobile devices with a thickness of only 0.68mm. Sharp says it's the industry's thinnest LCD. 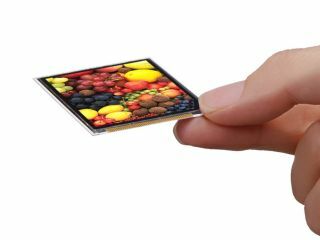 With handsets becoming increasingly thinner and more compact, there is a high demand for ultra-thin components and Sharp says that LCDs are now a big part of that. Thinnest, best mobile screen yet? So Sharp has developed the mobile Advanced Super View LCD. It's not only thin, but it's also designed for the higher quality, brighter pictures demanded by mobile phones with digital TV tuners inside. The new LCD boasts a QVGA (240 x 320 pixel) resolution. "The new Mobile Advanced Super View LCD delivers superior image quality approaching that of an LCD TV thanks to a high contrast ratio of 2000:1, wide viewing angle of 176 degrees, and fast response speed of 8 ms, which are among the highest levels in the industry," says Sharp. "As the leading manufacturer of LCDs, Sharp will continue to develop new proprietary technologies for LCDs, ranging from large-size LCDs for TVs to small and medium-size displays, and will contribute to the further evolution of mobile devices in the future."